Should You Seek a Second Opinion For Cancer? If you’ve been diagnosed with cancer, one of the first steps you should take is to seek a second opinion on the pathology used to make the diagnosis. Why is a second opinion so important in this situation? A growing number of studies have found that a second opinion on pathology can help you avoid an inaccurate diagnosis and inappropriate treatment. What’s the pathologist’s role in diagnosis? Pathologists microscopically examine samples of tissue suspected of containing cancer cells. 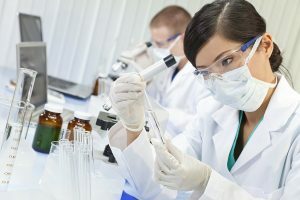 After examining the tissue, the pathologist writes a report that outlines whether cancer cells are present, and if they are, what type of cancer is present and what stage it is. Oncologists and surgeons use the information contained in pathology reports to determine which treatment options are most appropriate for each patient. How often does pathology lead to misdiagnosis? A recent study published in The Journal of the American Medical Association found that approximately one in four breast biopsies may be misdiagnosed, which can lead to both over- and under-treatment. In this study, pathologists correctly identified abnormal, precancerous cells only about 50 percent of the time, which means that half of the patients would not receive the appropriate follow-up care that can include frequent monitoring, lumpectomy, and hormonal medications such as Tamoxifen. The same study found that 13 percent of cases of the earliest stage of breast cancer known as ductal carcinoma in situ were misdiagnosed as a less serious condition, while three percent were mistaken for invasive cancer that would require radiation, surgery, and chemotherapy. The experience of one of our members highlights the serious consequences these types of inaccurate diagnoses can have. She was initially diagnosed with breast cancer and scheduled for a bilateral mastectomy followed by chemotherapy. After we arranged for a second opinion on her pathology with a top breast cancer specialist, the diagnosis was changed to a condition known as atypical ductal hyperplasia, an abnormal growth of cells that is not cancerous. She avoided unnecessary surgery, chemotherapy, and a lifetime of cancer surveillance and instead underwent a lumpectomy to remove the suspicious tissue. Another study at Johns Hopkins Hospital found that out of 6,000 cases from medical institutions across the country, one out of every 71 cancer cases was misdiagnosed and up to one out of five cancers were misclassified. A study published last year in the Annals of Surgical Oncology of 5,000 patients diagnosed with melanoma found that when the tissue samples were reviewed by pathologists who specialized in melanoma, the diagnosis was changed 5 percent of the time and the stage of cancer was changed 22 percent of the time. Get a second opinion on your pathology from an experienced pathologist with expertise in your type of cancer. A personal health advisor can help you facilitate your second opinion. Ask your oncologist what all the appropriate available treatment options are. In many cases, there’s more than one “right” treatment approach. Know what questions to ask your oncologist so that you can make an informed treatment decision. Here’s a list of six questions to ask.